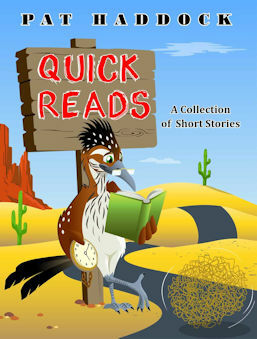 Quick Reads delivers over twenty genre-spanning short stories sure to hook readers of all interests. The collection begins with stories of suspense and even the paranormal that open a window to worlds most hope to never enter—like being forced to mete out one’s own punishment for a crime. It records historical or biographical sketches that allow us to step into another time and vicariously experience someone else’s life—like a Mexican conscript at the 1836 Battle of the Alamo. To relieve some tension, humor comes to the rescue. Nothing can tickle the ribs like a peculiar twist on a life event—a rural Mississippi man tells of his escapades. Then, we get down to earth, with realistic fiction—a young couple learns that owning a home also means tiptoeing through the pitfalls of maintaining its yard. Please contact me for events or services through my Facebook page.